Culturally, as people get generally busier, and take on more responsibilities personally and professionally, their free time becomes limited. As a result of this growing trend, more and more people are turning to online shopping to meet their everyday needs. The daily grocery store run is now replaced with a same-day delivery of market fresh groceries from a large distributor. The need for new shoes is no longer met with a trip to the overcrowded malls, with their own unique stressors. Rather, people are choosing to curl up on the couch with their favorite e-commerce site, enjoying shopping from home, and smiling when their brand new boots arrive a day later – or even later that same day. One of the most popular sites for these scenarios, and everything in between, is JD.com. Founded by current CEO Liu Qiangdong, JD.com is a worldwide leader in e-commerce, and enjoys over 300 million active customers. By providing same-day or next-day shipping to an area of over 1 billion people, the company retains an aggressive edge over competition, and provides ease of service that is unparalleled. Using the largest fleet of drones for delivery, they have successfully parlayed technology to meet growing demand. With yearly growth and expansion, JD.com has become the first Chinese internet company to be traded on NASDAQ, and enjoy working partnerships with some of the biggest names in business worldwide. Liu Qiangdong, the company’s founder, has built this juggernaut on the principle of duplicating and even exceeding brick-and-mortar customer service into the e-commerce world. Born in China’s Suyu District, he studied Sociology at The Peoples’ University of China, and earned a Bachelor’s Degree. Throughout his time at University, he was immersed in computer programming, and taught himself the tools that would ultimately spearhead his e-commerce success. After a successful stint as the Director Of Computers for Japan Life, a herbal supplement company, Liu Qiangdong pursued small business ownership by renting a retail space in China’s tech hub. He grew this small business into a local chain of a dozen shops, but decided to pivot his business model into an entirely online venture following the SARS outbreak that left people seeking shelter indoors. After taking his business, Jingdong(and eventually 360Buy Jingdong) online, he focused on strict guidelines regarding the source and quality of the products he sold, and developing an efficient and trusted shipping method. He negotiated the most competitive rates with third party suppliers, and developed an easy to use platform for all consumers. This lead to the immediate growth for the company, which became known as JD.com. 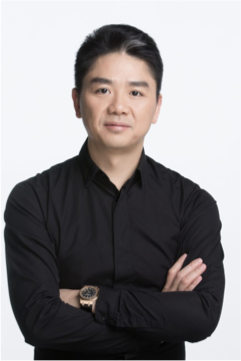 As business continues to change, Liu Qiangdong will undoubtedly continue to tailor his worldwide leader in e-commerce to meet the unique needs of the general public. He has spearheaded the e-commerce movement, and will no doubt utilize his insights to continue the trend.